Churchill, Manitoba, Canada, June 16, 2006. 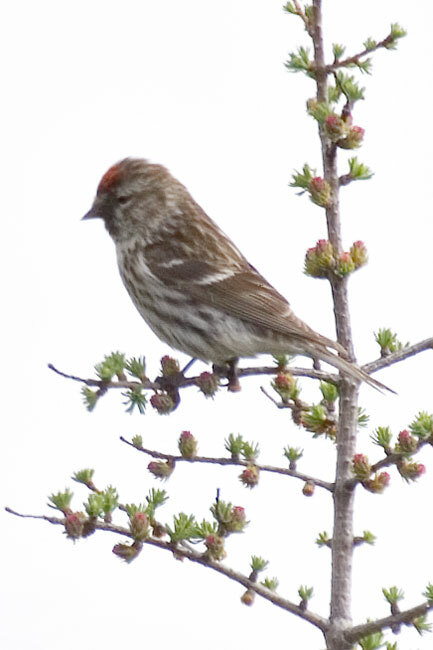 The redpolls were not interested in having their pictures taken, and mostly kept Tamarack branches in the way. This was the best I could do.